Themed after Rathalos, Zinogre, and Kirin. 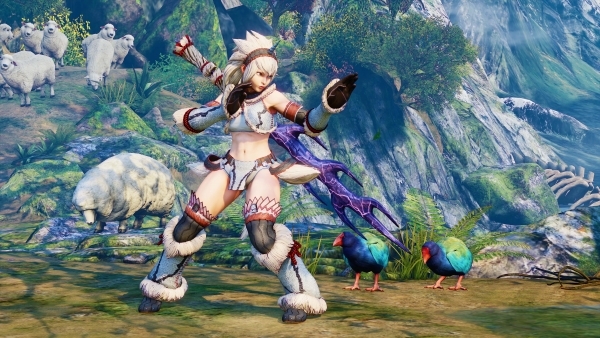 Capcom has announced Monster Hunter: World crossover costumes themed after monsters Rathalos, Zinogre, and Kirin for Street Fighter V as part of the game’s Extra Battle Mode. Each costume requires you to complete four challenges that take place over the span of a month – one challenge per week. Each time you attempt one of these challenges, you must spend 2,500 Fight Money. In other words, if you successfully complete each of the weekly challenges in one go, you can get that Extra Battle Costume for 10,000 FM! Once you complete all four challenges, the costume for that month is yours! These challenges are time exclusive, so make sure to log in each week to complete them, especially if you have your eyes on that month’s unique costume. Read up on the challenges’ contents and dates here. View screenshots of the Monster Hunter: World costumes at the gallery.